After I returned home from giving birth, my FIL showed up and left some fruit for me. He remembered that I love cherries, so I got a large box of two kinds of cherries (dark and yellow); a large box of green grapes; strawberries (where did he find strawberries at this time of the year?) and “pita nectarines”, which are flattened nectarines which taste fabulous. He basically dropped by when he knew my husband was in, gave the fruit and left, without even saying hello for fear of waking me up 🙂 Isn’t that a thoughtful gift? It was great to have something healthy and sweet to munch on after breastfeeding, especially when it’s so hot. The nectarines didn’t last the weekend, they were so tasty; the cherries were almost finished as well; but inexplicably, I had a few strawberries left. They were sweet and succulent, but I wanted something more in the comfort zone. 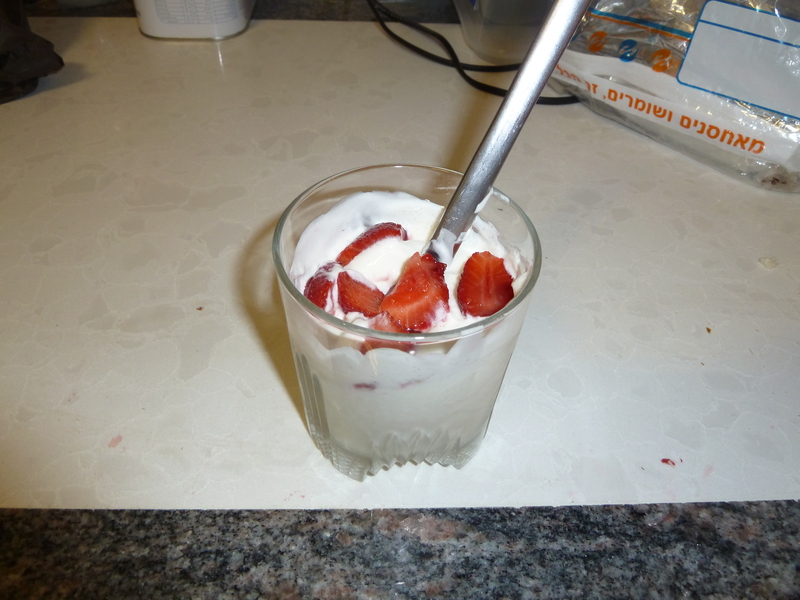 So I made some vanilla quark and served the strawberries with that. Divine! Mix quark and sugar. Sprinkle strawberries on top and serve. Yum! My husband and I went to a wedding yesterday, and I promised my kids a surprise today if they’ll be nice with the babysitter. So this morning I made them chocolate cake in a bowl. After it was done, I cut it into quarters, and then arranged in each plate two cucumber slices (for eyes) two chocolate chips (nose) and a quarter cake (mouth). 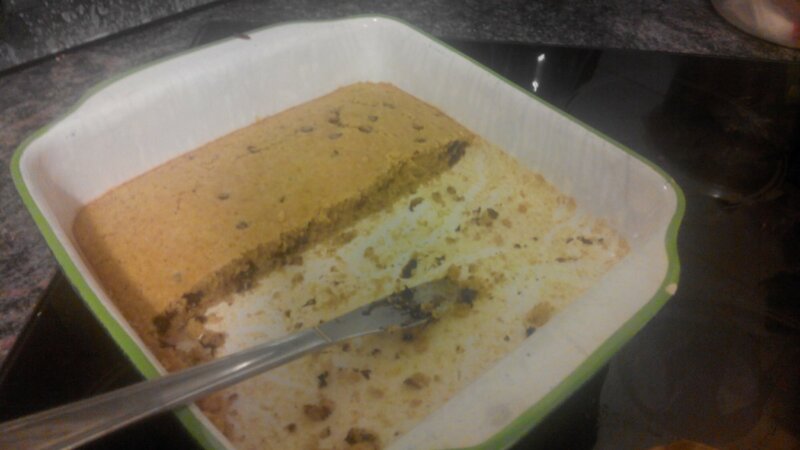 My eldest answered that he hadn’t tasted it yet becasue the cake was still too hot, and he doesn’t like cucumbers. 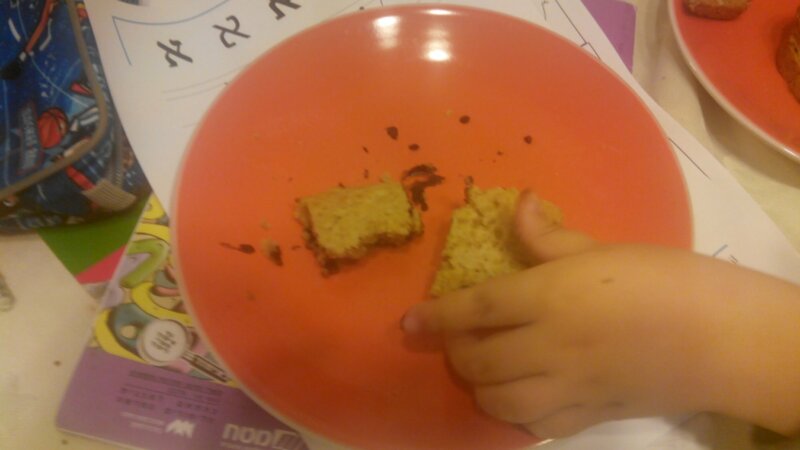 My youngest, who doesn’t mind eating slightly warm chocolate cake, said “Yes!” cheerfully. Mix dry ingredients in a microwave safe bowl. 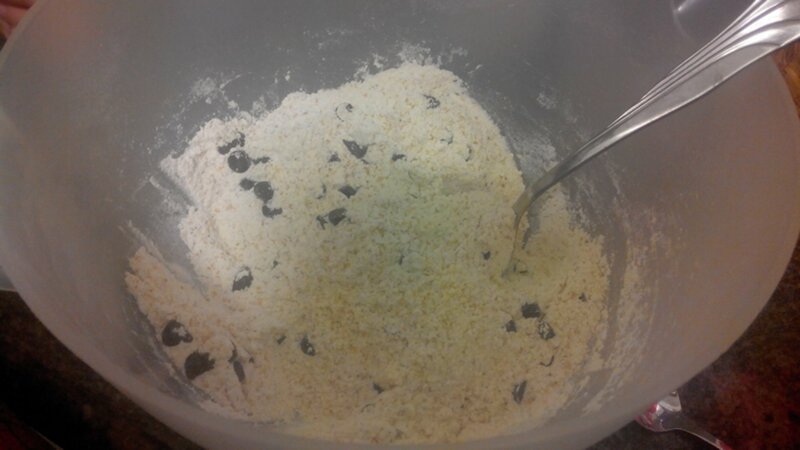 Add wet ingredients and chocolate chips. Mix. Cook in microwave on high for 2.5 minutes. If still sticky, add another 30 seconds. Cut into quarters and eat! 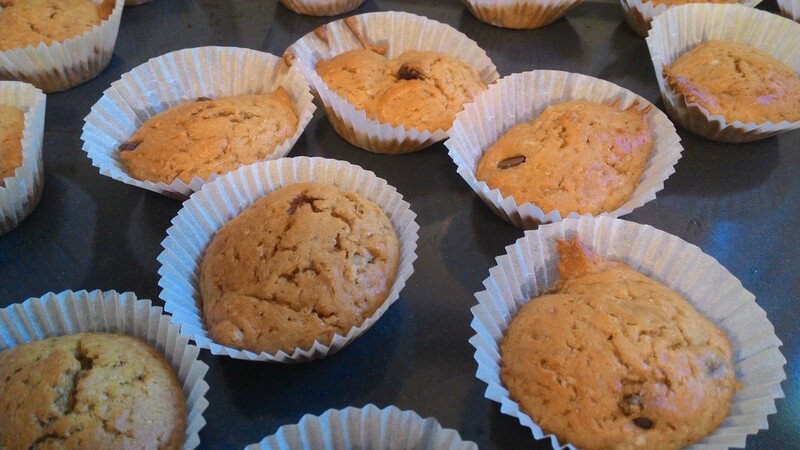 Substitute up to 3 tbsp flour for finely ground almonds or other nut. 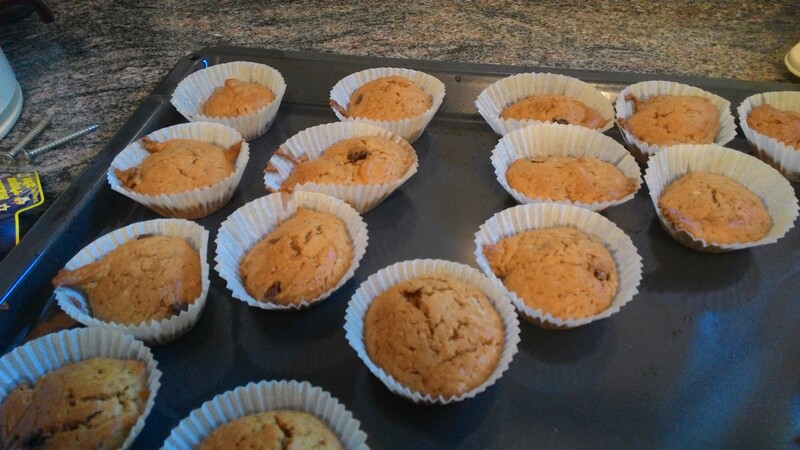 If it still seems too liquid, add more flour (almonds absorb less moisture than flour). 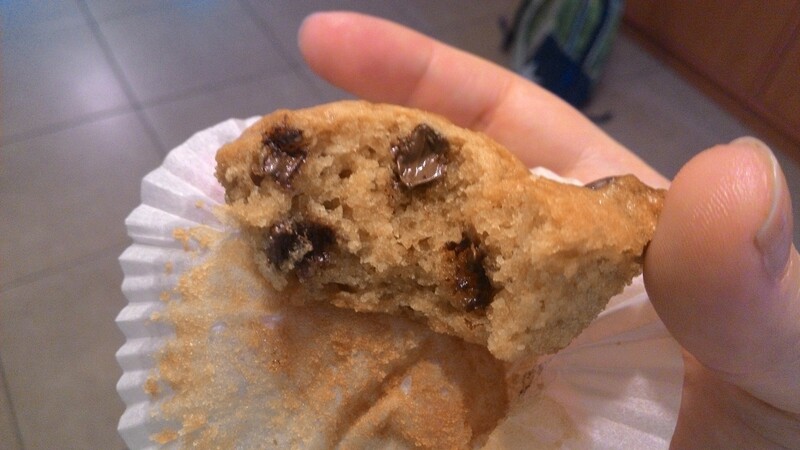 Substitute mashed banana or unsweetened applesauce for the oil (I’ve tried it in other cakes, not in this one, so I can’t promise… but it should work!) You can also try variations on this recipe. I’ve been dreaming for a long time of making my own ice cream. I even bought two vanilla beans for that purpose about a year ago, and kept them in vodka in a dark place (thus creating real vanilla extract as well). I never got arund to actually making it, though. Until now. 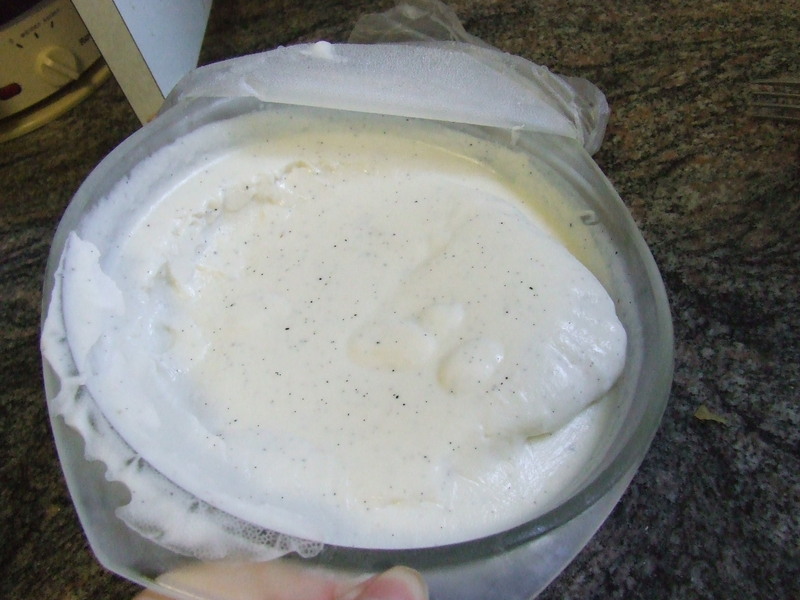 With some excitement I poured the cream into the pot, and took out one vanilla bean from the jar. It looked disgusting. It smelled of alcohol, not vanilla. 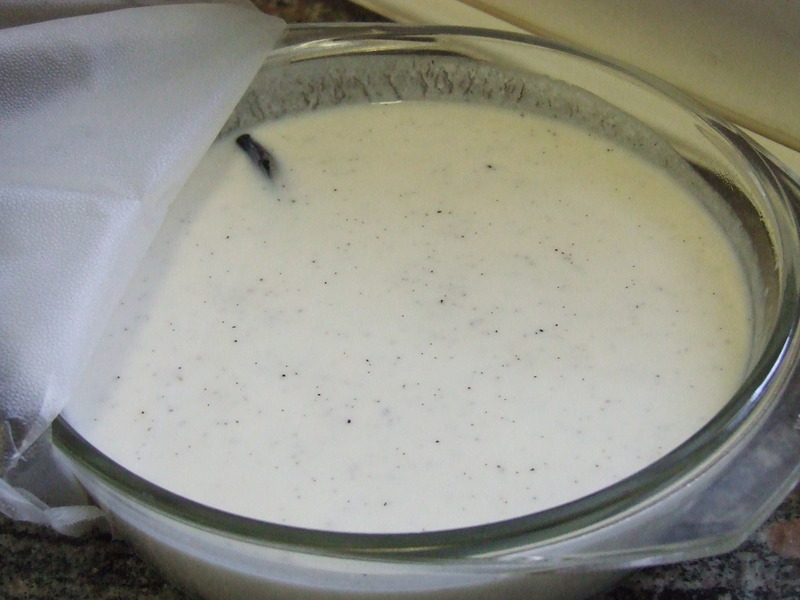 I thought it might be spoiled, but I read around a bit and vanilla beans keep very well. I thought, “Well, let’s give it a try. Maximum it will taste terrible…”. I opened the bean as I’d seen in numerous cooking shows (this was my first time with an actual vanilla bean) and scraped the inside into the cream, and threw in the vanilla bean as well. It looked extremely unappetizing, with little black dots. I heated the cream, stirred, and then removed from the heat. I tasted – and almost stopped dead. This was the best vanilla flavoured anything I have ever tasted. The bean was still floating inside, and still looked heartily unappetizing. I tasted again. Unbelievable. What were they thinking? The people who started using vanilla beans? “Oh, here’s a strange looking plant with a faintly nice smell, let’s see if it can be used?” How many utterly disgusting things did they try before scraping it and boiling it in liquids? Fried vanilla bean? Chopped in a salad? People had more patience once. Nowadays, I don’t think anyone would have looked at it twice. The original recipe calls for 500 ml of cream. I had only 250 so I substituted white sweetened yogurt instead. Of course, the reason I had only 250 ml was because I wanted to lower the fat content. The result is creamy with a faint sour aftertaste from the yogurt – I assumed that this was what my husband didn’t like. I admit that fat percentage is not as high on my priorities either. I intend to make chocolate ice cream next, and there I will probably use cream only. The original recipe is from “The Perfect Scoop” by David Lebovitz. I chose this recipe because it has no eggs. 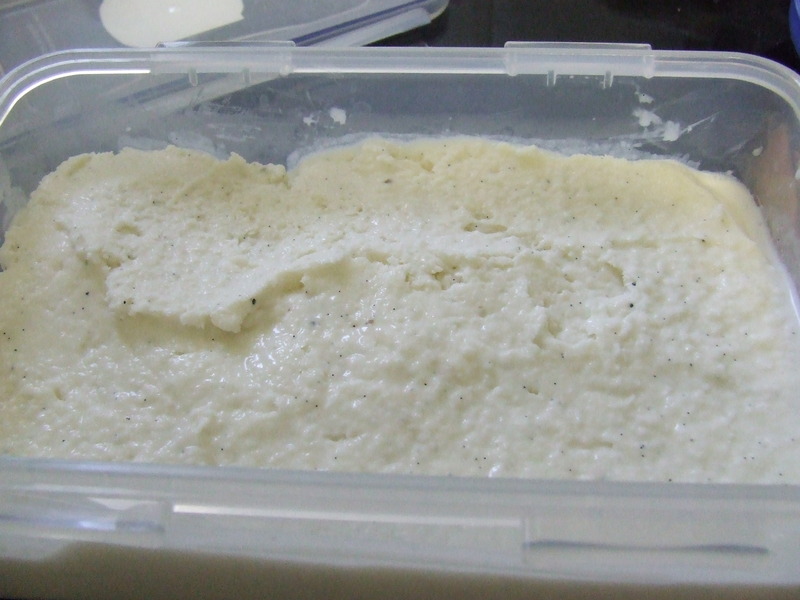 This is home made and stays in the freezer a while, and I didn’t want to take chances with raw eggs. 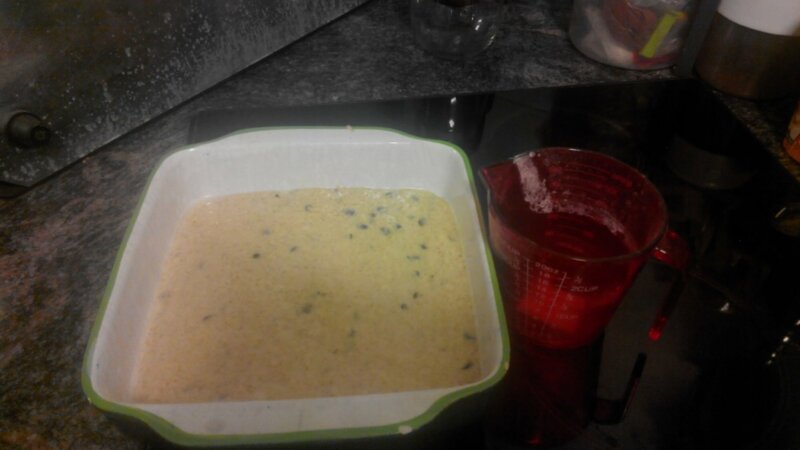 Put the cream (ony one cup if you are using only cream) into a pot with the sugar. Scrape the vanilla seeds from the bean and add the vanilla pod to te pot. Warm until the sugar is dissolved. Remove from heat and add the milk, the yogurt, and the vanilla extract. Cool thoroughly in the fridge. I don’t have an ice cream machine, so I did it the old-fashioned way: I froze for about and hour, and then blended. And then I repeated this 3-4 times, blending once an hour (The idea is to break the ice crystals so you get ice cream and not a block of ice). You can see the process in the pictures. Notice the frozen edges and the soft middle in the second image.